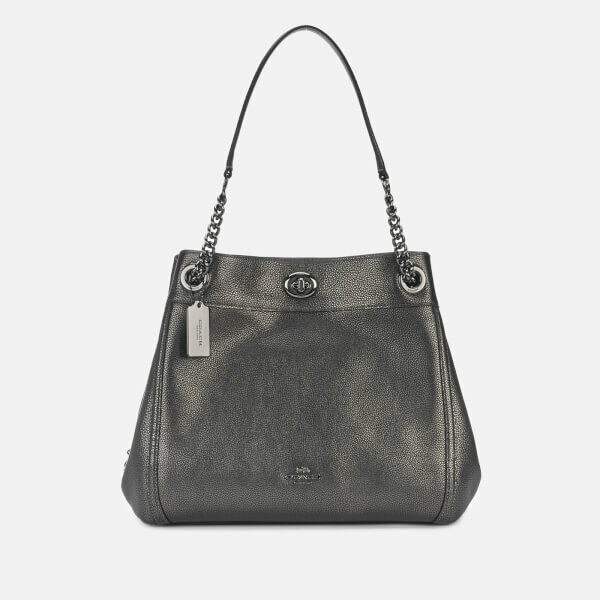 Metallic ‘Edie’ shoulder bag from New York fashion label, Coach. 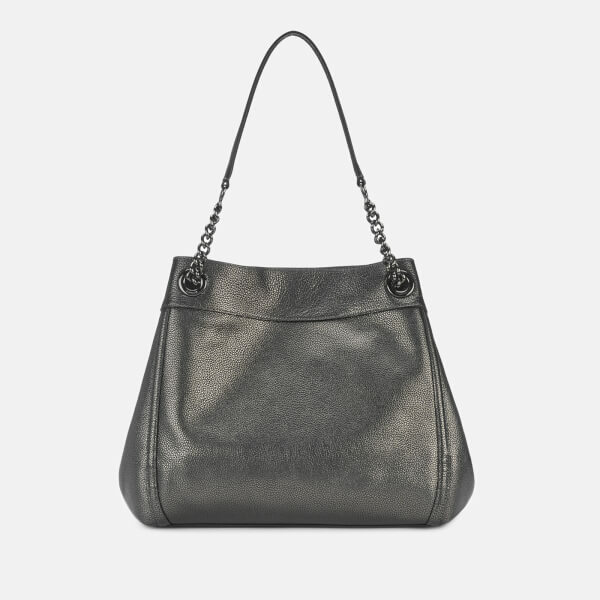 Presented in luxurious textured leather, the grey tote bag is secured with a metallic turnlock closure and opens to reveal a dual-compartment interior bisected by a large zip pocket with turnlock detail. 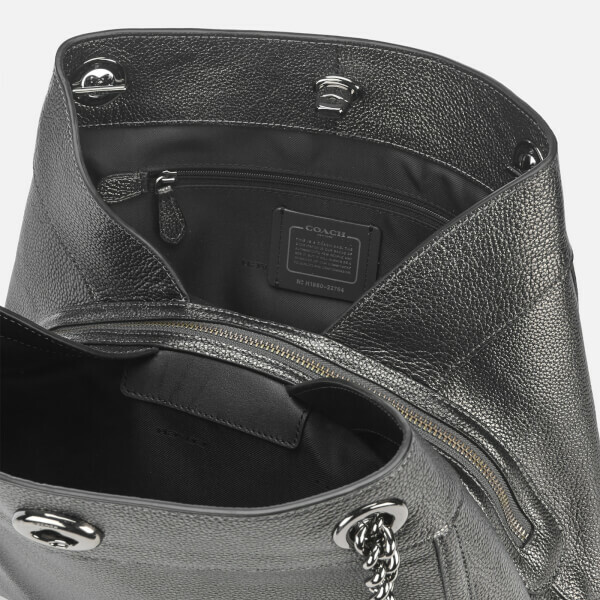 One smaller zip pocket and two slip pockets also feature, while two top handles with chain detail ensure comfortable carrying. 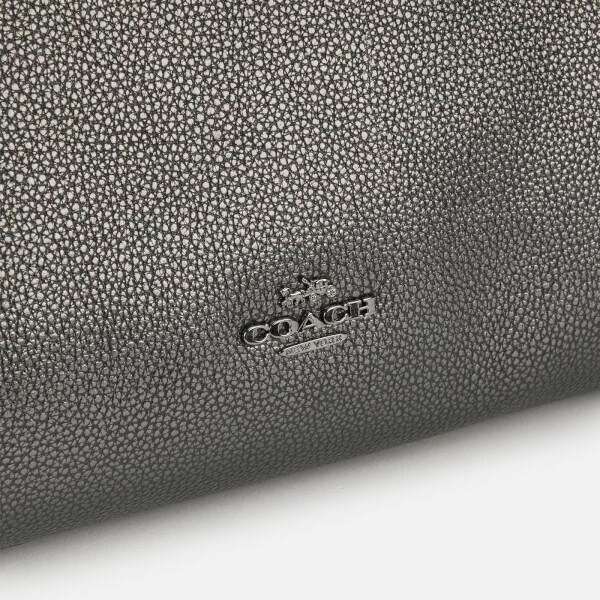 Metallic logo detail and a branded luggage tag completes the design. Dimensions: H: 28cm x W: 36cm x D: 12cm. 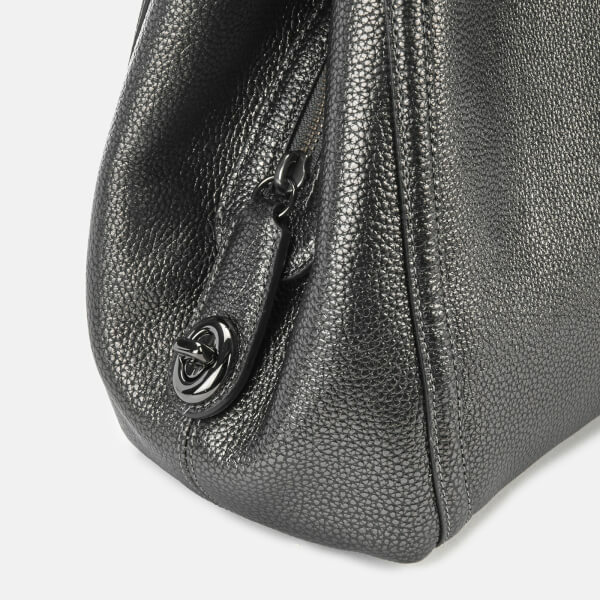 Strap Drop: 26cm.